Art by longtime DEVOtees, The Ladies of The Lake (Rosy and Michelle). 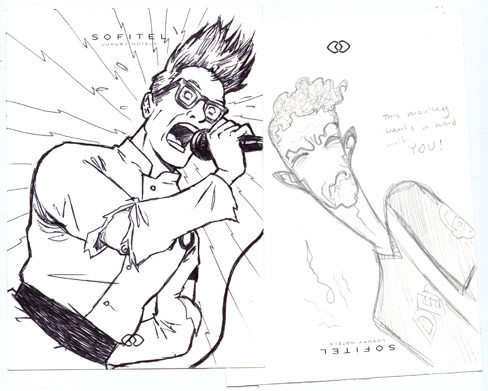 Drawn in Washington DC and given to the band during DEVO's tour in Nov. 2009. Rosy illustrated Mark on the left, and Michelle drew Bob 1 on the right. Rosy Scally & Michelle W.